I wasn’t the only one in the family who mastered swearing. It was prevalent in our household courtesy of both sides of the family. One side of the family included cussing “restaurant people” but the other side of the family also contributed. They were led by a Navy man who could “cuss like a sailor” and had a tattooed buxom woman on his arm. Everywhere I turned we all cussed. I’m ashamed to say I even passed this horrible habit on to my own children. 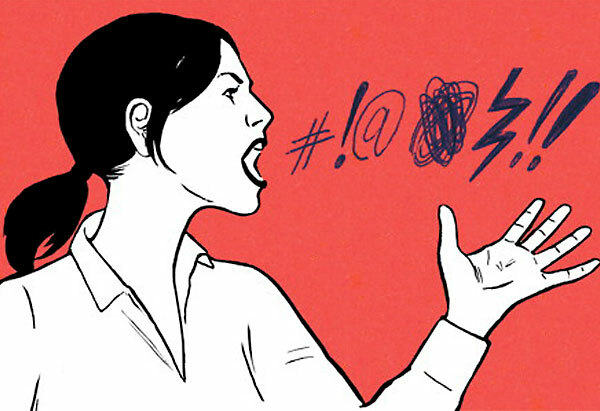 As a family law attorney and a practicing Christian, it became clear to me years ago that profanity wasn’t becoming to the woman I wanted to be and that the habit has zero redeeming qualities. As a result, for the past several years I have added “stop cussing” to my list of new year’s resolutions. Although I have made great strides, it still emanates from my DNA and lingers to a degree, causing me angst leading to it’s permanent place on the self improvement list. Recently, I heard a podcast by Michael Hyatt entitled “The Danger in Dirty Words” and it brought me a whole new perspective on this nasty habit. In his podcast, Hyatt says no matter how you feel about profanity as a moral issue, the real problem is that using profanity diminishes your brand. As typically happens when something hits my radar that causes me a “personal pause, ” I started to ponder whether he had a point, and immediately an example of what he was talking about showed up. I had been working with a client on a collaborative case, meaning we committed in a contract with the other side not to go to court. After transitioning my practice to peacemaking law some years ago, I learned this type of legal work requires a higher consciousness of both client and attorney. We work towards peace, crafting a resolution that respects each party’s tempo for resolution and seeks full understanding of all positions and needs. Collaborative law requires inordinate amounts of painful human endeavors such as active listening and patience. Frankly, it’s much easier to just “sue the ‘bleeps’” and fight it out in court where bloodshed, spewing venom and vitriole reign. Unbeknownst to me, my client had bemoaned her suffering in this higher consciousness legal action with me to her financial planner. Immediately the CFP referred her to another attorney, known for taking EVERYTHING to court and engaging in all the costly gyrations that go with it. My client set an appointment with the attorney to get a “second opinion” from what we were doing on her case. After meeting with the litigator (and paying a pretty penny for a consultation), my client came back to me to “fess up” to having explored jumping ship on our high integrity process. And she was VERY vocal about how bad her experience had been with the other attorney. She was troubled that the attorney had been so eager to immediately file a court process after the first few minutes of the consultation. Having witnessed such a different approach it made her realize the collaborative path was more appropriate on every level. But that wasn’t the worst thing she reported. Hmmmm. I couldn’t help but wonder (but of course did not ask) just how that F-bomb had been used. Was it as a pronoun? Perhaps in referring to me? Or as an adverb, perhaps in describing my approach to the case? Or worst of all, was it used as a descriptor for my client’s husband, thus inciting additional conflict and disdain for that person when I had spent countless hours trying to seek understanding for that party’s position and perspective as we tried to settle the case? Any way you slice it, I know it was a lesson for me. My client’s experience confirmed Michael is correct when it comes to branding. My client ran from that lawyer and expressed nothing but disgust largely because of the profanity. Yet that wasn’t what he’d said. And I noticed specifically that he didn’t. And you know, his deliberate omission of a customary profanity in the phrase he used did have the effect of making me think he was disciplined, professional and all the things I wanted in an accountant. I’m now more committed to cleaning up my foul mouth than ever. Even though it has gotten much better in recent years, I’m vowing to stay vigilant against even the occasional slip. I’m grateful to Michael, to the attorney whose brand is mudslinging and cussing, and to my awesome accountant for showing me the path. I’m excited about being a highly professional peacemaking lawyer, which is my highest calling. At the same time I’m honored to have been raised by all the cussers in the family who are no longer with me. I see them in my mind’s eye with cigarettes in their lips and holding a shot of whiskey, and tattooed babes on their arms, applauding me on the journey. 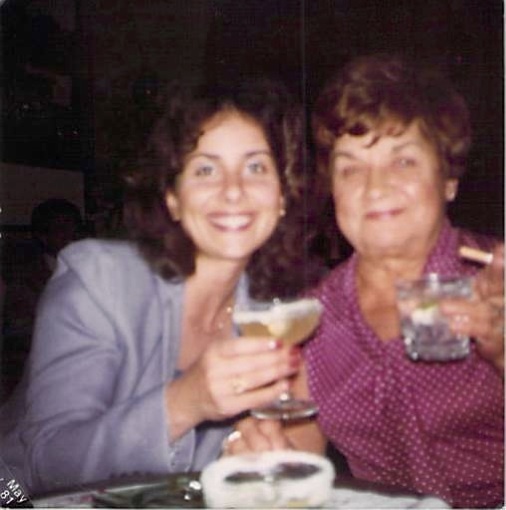 Photo: My grandma Josephine, a champion cusser, at our family’s restaurant bar on the day I graduated from law school. I adored her.